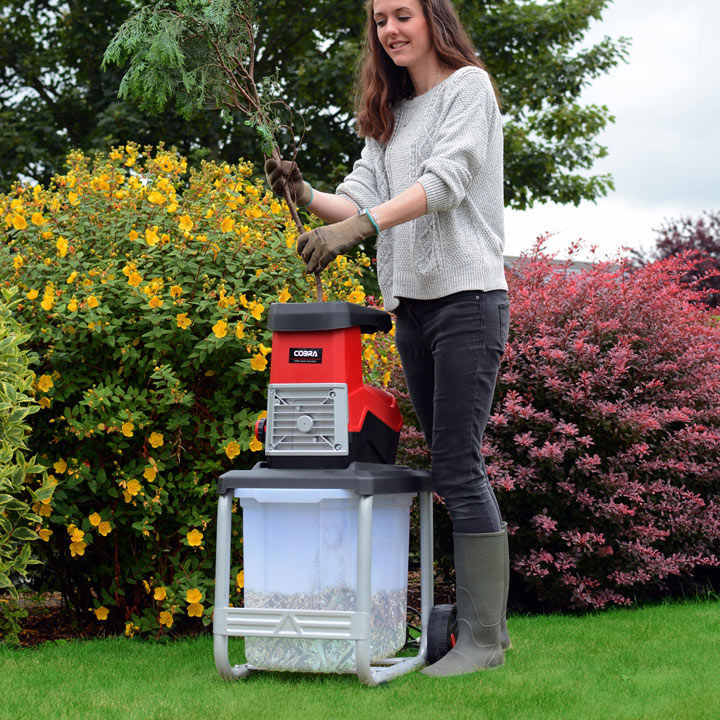 Process large volumes of horticultural waste and create a valuable, highly compostable mulch with this hardworking 2500w electric shredder from UK-brand Cobra. 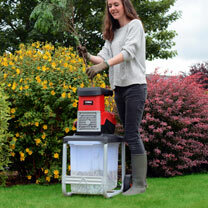 It employs a quiet-running but unforgiving drum-gear shredding mechanism that makes it ideal for use in residential areas; and which will reduce branches up to 40mm in diameter to wood-chips. An auto-feed system pulls branches into the shredder so as to save time and effort; while a capacious 50-litre debris-box means breaks for emptying will be few and far between. The Cobra QS2500 Quiet Shredder is supplied with a plunger that can be used to push material into the hopper should you need to speed things up. Also noteworthy is the lengthy 10-metre power-lead. 2 year manufacturers warranty.